I made this Pumpkin Pie Sheet Cake for Thanksgiving and it was a hit. My hubby loves Key Lime Pie, so I decided to make Key Lime Sheet Cake. The problem was I could not find a recipe for it anywhere. I found all kinds of variations of pie and some chess bars, but it wasn’t what I had in mind. So I came up with this recipe. Prepare the crust by mixing the first 3 ingredients and pressing the dough into a greased jelly roll pan. Prepare the filling by mixing the remaining ingredients together. Pour over crust and bake at 350 degrees for about 40-45 mins. This wasn’t very pretty when it came out. It was bumpy or lumpy looking, but it flattened out as it cooled. The filling is dense, but it had a light lime taste. I think I might cut the ingredients in half the next time I make it or make sure I have lots of people to serve it to because it makes quite a bit! Diana, this sounds really good. It would be great for a pot luck. We're having a party today - What'd You Do This Weekend? I'd love it if you would bring this over, grab a button and take a look at what everybody did this weekend. My husband also loves key lime pie. He would undoubtedly love this dessert, as well. Thanks for sharing. Oh wow, this sounds sooooo good! Must try! sounds so good! I love how fresh tasting key lime pie is! This sounds so wonderful and refreshing! I love lime anything, this sounds delicious! Looks delicious! I love key lime pie!! I'm printing this out! It looks delicious! So glad you shared it! Lime and Lemon is my favorite....this looks delicious! Thanks for sharing! I love Key Lime Pie, and I LOVE sweetened condensed milk - sounds really good! I bet it's nice an light and delicious! Oh girl that looks yummy!! I so wouldn't be able to stop! This looks amazing. Anything with the word "key lime" has to be good. Thanks for the recipe. This look sooo good! Thank you for sharing the recipe! This looks easy to make and Key Lime, mmmm. Thank you for sharing this. Oh my goodness, I am a huge key lime fan and sheet cake fan. So, this sounds perfect! I can eat the whole thing! lol...now that I'm chocolate deprived for the next 40 days this sounds perfect! Thank You girl...pinning! Oh, yum! This sounds like a winner to me. I love anything key lime. I was sold at cream cheese! 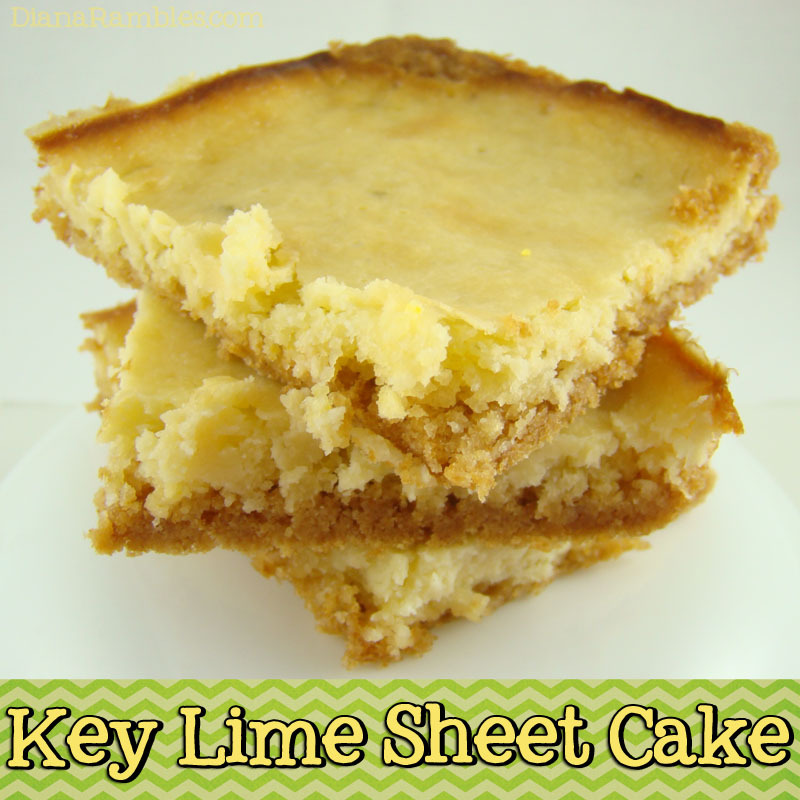 We just love the Key Lime flavor,this looks like a delicious sheet cake! Hope you are having a great Valentine weekend and thank you so much for sharing with Full Plate Thursday. This looks and sounds amazing! How can it not be with sweetened condensed milk and cream cheese?!?!? Thanks for sharing, Diana!Hope you have a wonderful week! I have never tried key lime cake. I love that you use a cake mix, it makes it easier.I would love if you link this to my link party Monday morning! Oh Yum Yum Yum Thanks for sharing at Show Me Your Plaid Monday's! This Key Lime Pie looks SO GOOD! I'm so glad you shared it at my link party last weekend @The Weekend re-Treat! Thank you for inspiring me to drool on my keyboard! This recipe looks amazing! I am a huge fan of key lime - this looks delicious! Thanks so much for linking up at Finding the Pretty & Delicious Linky Party! Hope you'll come back this weekend. This looks so yummy. Key lime pie is my husband's favorite! Thanks for sharing with us at Real Housemoms for Fabulous Fridays! Oh wow! I looked at that am my mouth immediately started watering...LOL! YUM! Thanks for sharing at The Gunny Sack! woah, looks delicious and crumbly in your mouth. YUM! I Love Key Lime Pie and this looks amazing. 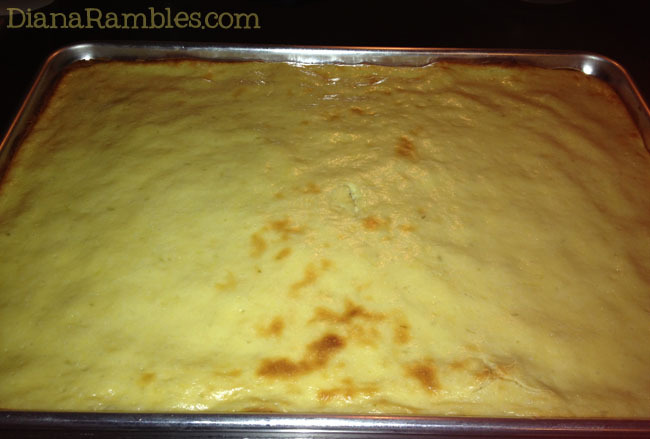 I am going to have to pick up some yellow cake mix at the store today and give this a try. Yummy!!! hank you for linking up in our Crafty Showcase last week. Total NOM NOM NOM!!!! Thanks so much. We have been enjoying "Anita Pelaez's" key lime pies for years, they are our favorite. Now we can't wait to try out your key lime cake, it sounds so scrumptious. Oh, I love key lime pie. And in cake form? What a winner! Thanks for sharing, Diana!